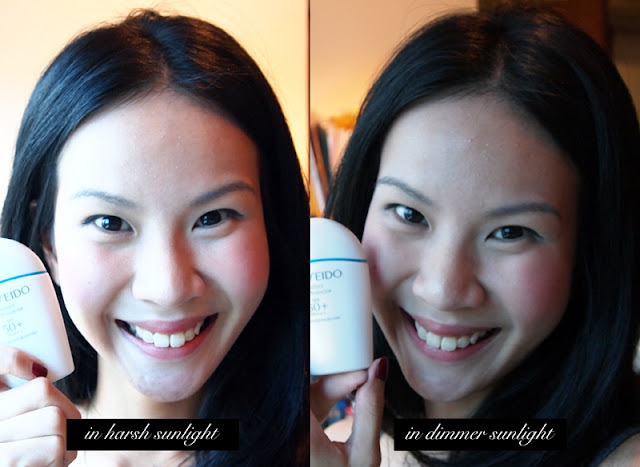 I'm back on this beautiful day with a post on Shiseido's Perfect UV Sunblock! PS: This was requested by one of the commenters who was curious about this one vs the Clarins(link) and I promised to put it up a few weeks ago. I'm so sorry I have been so busy, but here you go! Better late then never, I always say! I know I've been on a roll of sunblocks and BB creams lately, but bear with me, this will be the last for awhile! 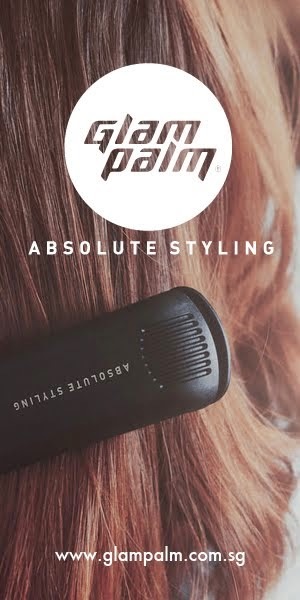 In the meantime, click below to find out more about this product! PSPS: If you're looking for a mattifying sunblock, you've come to the right place! A very water-resistant sun protection lotion that provides reliable defense against UV rays while offering advanced skincare benefits. Ideal for face and body, and especially formulated for strong sunlight conditions. ・Protects skin from UVA/UVB rays and helps reduce signs of photo-aging with exclusive SuperVeil-UV 360 technology. ・Formulated with Profense CEL, a complex of ingredients that inhibits enzyme activity* and damage to cells and DNA*— factors linked to the formation of wrinkles and dark spots. ・Absorbs quickly and feels comfortable on skin. ・Promotes a smoother application of foundation and a lasting makeup finish. ・Removes easily with basic cleansers. Pretty typical way of opening a bottled product, twist-cap option. I think that makes it more secure, especially since it's the kind of clicks close at the end. I cleaned the nozzle for this photo, but I must warn that the liquid does tend to get trapped there, nothing that a little cleaning won't help though. What's most interesting is probably the shape. I am not particular about product packaging/design as long as I like the product itself, but it's always nice to see some effort put in. There is a pearlescent sheen on the bottle and a nice contrast of the blue line across the middle. A pretty sunblock to have in your arsenal. Now, someone has asked me for a comparison between this sunblock and the Clarins one, so I laid out the images above (using the Clarins Sunblock in Neutral to be equal in terms of 'color') and this was the result. First I would like to say that this product has a higher SPF than Clarins' UV Plus HP, and also has a more 'true to sunblock' scent than fragrance if you know what I mean. Okay, going on to color and texture..
As you can see, compared to Clarins, Shiseido's sunblock is WAY more watery. You can see it just dripping off my hand there on the top left whilst Clarins' stayed together in a pool. 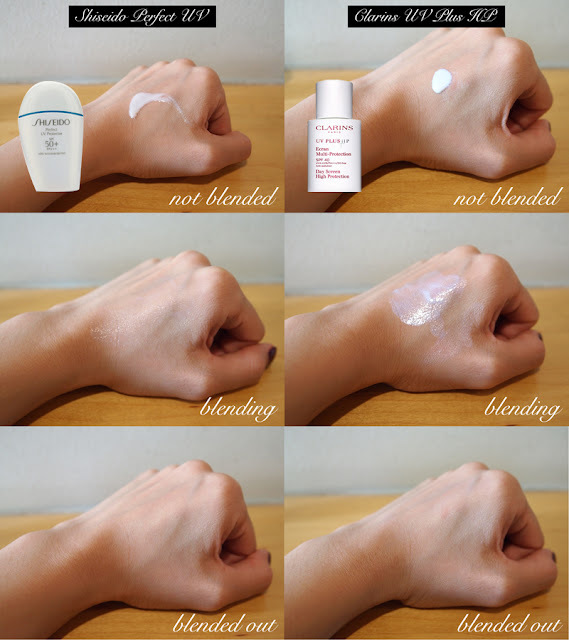 Also, when blending out, Shiseido's already became very translucent. Clarins, did not absorb as quicky as Shiseido's due to the formulation of the product being very slightly tackier and thicker. Nonetheless, you can see both blended in beautifully at the end. Perhaps Shiseido's just took less time. Though I should mention that Shiseido's finish is MATT whereas Clarins' is more dewy though you can't see it on screen. For some, Shiseido might even be considered too drying because it becomes very velvety on skin. Color wise, there isn't much to say. Unlike Clarins', Shiseido's doesn't come in tints. I think this was meant purely as a sunblock rather than a makeup base and sunblock all in one. Quite perfect for oilier skin tones. I myself am not a sporty person, but I do think this is rather amazing for those who do outdoor sports (be it on land or sea). This product is water resistant, which means that it does not come off or "melt" off when in contact with water. But be reminded that you SHOULD reapply your sunblock when you do engage in such activities outdoors because it still gets absorbed into your skin over time, and you will need to add more protection on top - at least every 2 hours. You can use this on your face and body, very worth it. I pour this into my palm and quickly pat my hands all over my face. You've seen those SKII Ads right, where the girl pats the toner into her skin? Yeah I do it exactly like that. Why? Because it is so watery I cannot really spread it over my face equally or dot it on as I usually would. I find this ensures proper and equal coverage. I am a bit on the fence with this one. I could definitely understand why people rave about it, especially in our humid terrible climate. But I am constantly in aircon so I do get skin that dries out. If, however, you have an oilier complexion, this would definitely be one of your holy grail products because it does have a certain amount of oil control and sweat-resistance. Ashley loves this sunblock actually, and she uses it when she goes sailing (yes, one of the things you may not have known about our pretty blogger). I like it perfectly fine but I cannot use it alone. 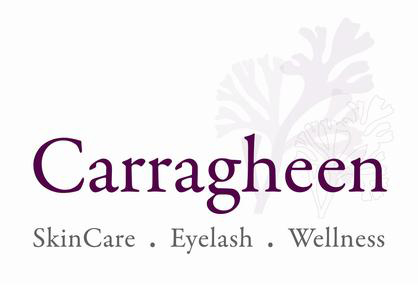 I much prefer it with my Clarins UV Plus HP on top. It just makes me feel like there's added protection - but I must remind some of you that just because you use 2 different sunblocks with 2 different SPFs doesn't mean you just add their SPFs together to get a higher amount; you just get the SPF protection of the sunblock that is higher than the other. Eg. Using SPF 40 + SPF 50 DOES NOT = SPF 90. Only SPF 50 applies. The photo I used at the top is how it looks indoors with orange light. These are taken with sunlight streaming through my window to give you a gauge of how matt it looks. Now, my above reflection is totally based on using it on the face. Though this can be used on the body, I have not tried so yet. I have, however, read reviews that, when used on the body, is quite difficult to wash off. With our skin, we occasionally use makeup removers which are stronger at removing such stuff and that could be the reason why. If you're curious, you can always test it on a patch of your body first, like the arm or hand, and see how you like it before using it everywhere else. On to the pricing.. if I am right this one is priced much lower than Clarins', probably at $59. I cannot remember the exact amount but it is definitely in the $50s. The latter is about $72. I will give this a high rating but I am unsure as to whether I will purchase this again - maybe I'll find out when the time comes. 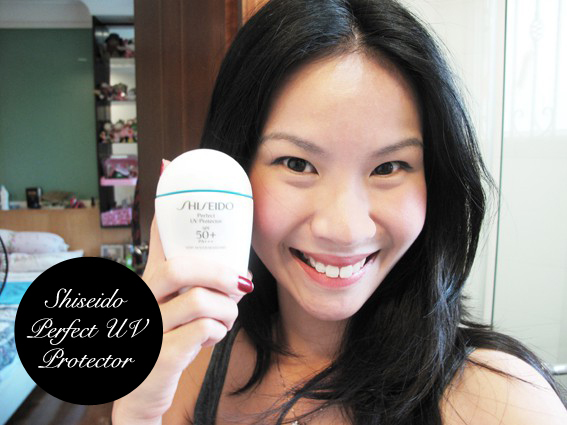 Hmm I use the Shiseido Extra Smooth Sun protection lotion which I think is pretty similar to this. Great review! I am looking for a new sunscreen, so I might check this one out! i think I still prefer Clarins becos of the sunblock scent that you mentioned in the Shisedo one. But great review dear! Thanks love for always reading our posts and supporting us! you are most welcome. it has become one of my daily blog to read lately. you girls are so young and write beautiful and useful reviews of products :) good job! Carrot, that really made my day. :') I've been so stressed out and this comment just made everything better! Protects skin from UVA/UVB rays and helps reduce signs of photo-aging with exclusive SuperVeil-UV 360 technology. Formulated with Profense CEL, a complex of ingredients that inhibits enzyme activity* and damage to cells and DNA*— factors linked to the formation of wrinkles and dark spots. Contains Thiotaurine and Rose Apple Leaf Extract, proven to counteract oxidation.